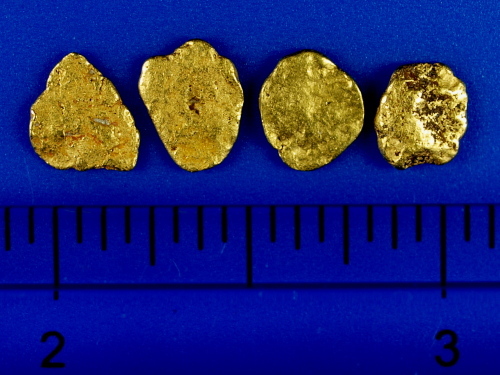 Four nice placer gold nuggets from Alaska. These have a very flattened out, smooth shapes, great for jewelry or collecting. They have a combined weight of 1.85 grams.